Will Supreme Court Decision Unite America? "Excessive taxation ... will carry reason and reflection to every man's door, and particularly in the hour of election." How the Justices Ruled on Health Care last week was a sad day for people who understand that the Affordable Health Care Act is not good for America. We were not only catapulted into Socialism but we lost any hope for justice from our Supreme Court. Justice Roberts washed his hands in front of the American people much like Pontius Pilate. 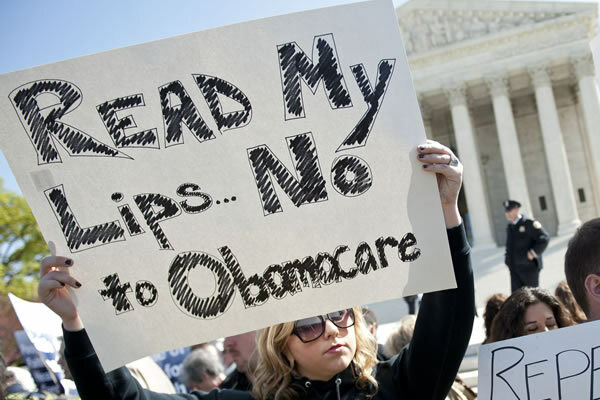 Roberts with his ruling has put ObamaCare right back with the people. Roberts found the ‘tax’ to be constitutional but it was not the job of the Supreme Court to say whether the law is fair, just or wise. In Roberts’ Opinion, "It is not our role to forbid it, or to pass upon its wisdom or fairness." First, the Government argues that Congress had the power to enact the mandate under the Commerce Clause. Under that theory, Congress may order individuals to buy health insurance because the failure to do so affects interstate commerce, and could un­dercut the Affordable Care Act’s other reforms. Second, the Government argues that if the commerce power does not support the mandate, we should nonetheless uphold it as an exercise of Congress’s power to tax. According to the Government, even if Congress lacks the power to direct individuals to buy insurance, the only effect of the indi­vidual mandate is to raise taxes on those who do not do so, and thus the law may be upheld as a tax. We might never know what turned Roberts, who is considered a conservative, to rule in favor of ObamaCare. Might it be a joke directed at Hussein? We know that Hussein has promised over and over again that he would not raise taxes on the middle class. By ruling in favor of the ‘tax’, Roberts put a spotlight on the federal government, particularly on Obama as head of this miserable administration. Roberts has fired up the troops so to say. It is our patriotic and moral duty to repeal ObamaCare in its entirety through our congress, by electing formidable representation. It is up to us to elect representatives who will stand up to the likes of Barack Hussein, Harry Reid, Nancy Pelosi, et al. The dissenting Opinion by Justice Scalia, Justice Kennedy, Justice Thomas and Justice Alito is anything but favorable. It points to the ‘feeble’ and ‘fly by night’ arguments given by the attorney assigned to this case. These justices found the Affordable Health Care Act invalid in its entirety. It should be the responsibility of the Court to teach otherwise, to remind our people that the Framers considered structural protections of freedom the most important ones, for which reason they alone were embodied in the original Constitution and not left to later amendment. The fragmentation of power produced by the structure of our Government is central to liberty, and when we destroy it, we place liberty at peril. Today’s decision should have vindicated, should have taught, this truth; instead, our judgment today has disregarded it. For the reasons here stated, we would find the Act in­valid in its entirety. We respectfully dissent. NATIONAL FEDERATION OF INDEPENDENT BUSINESS ET AL. v. SEBELIUS, SECRETARY OF HEALTH AND HUMAN SERVICES, ET AL. Opinion of Justice ROBERTS, C. J. The penalty for not complying with the Affordable Care Act’s individual mandate first becomes enforceable in 2014. The Government advances two theories for the proposi­tion that Congress had constitutional authority to enact the individual mandate. First, the Government argues that Congress had the power to enact the mandate under the Commerce Clause. Under that theory, Congress may order individuals to buy health insurance because the failure to do so affects interstate commerce, and could un­dercut the Affordable Care Act’s other reforms. Second, the Government argues that if the commerce power does not support the mandate, we should nonetheless uphold it as an exercise of Congress’s power to tax. According to the Government, even if Congress lacks the power to direct individuals to buy insurance, the only effect of the indi­vidual mandate is to raise taxes on those who do not do so, and thus the law may be upheld as a tax. The Affordable Care Act’s requirement that certain in­dividuals pay a financial penalty for not obtaining health insurance may reasonably be characterized as a tax. Be­cause the Constitution permits such a tax, it is not our role to forbid it, or to pass upon its wisdom or fairness. The Affordable Care Act is constitutional in part and unconstitutional in part. The individual mandate cannot be upheld as an exercise of Congress’s power under the Commerce Clause. That Clause authorizes Congress to regulate interstate commerce, not to order individuals to engage in it. In this case, however, it is reasonable to con­strue what Congress has done as increasing taxes on those who have a certain amount of income, but choose to go without health insurance. Such legislation is within Con­gress’s power to tax. But it is a blatant violation of the constitutional structure when the States have no choice. The Act before us here exceeds federal power both in mandating the purchase of health insurance and in deny­ing non consenting States all Medicaid funding. These parts of the Act are central to its design and operation, and all the Act’s other provisions would not have been enacted without them. In our view it must follow that the entire statute is inoperative. The last of the feeble arguments in favor of petitioners that we will address is the contention that what this statute repeatedly calls a penalty is in fact a tax because it contains no scienter requirement. One would expect this Court to demand more than fly-by-night briefing and argument before deciding a difficult constitutional question of first impression. The Court regards its strained statutory interpretation as judicial modesty. It is not. It amounts instead to a vast judicial overreaching. It creates a debilitated, inoperable version of health-care regulation that Congress did not enact and the public does not expect. It makes enactment of sensible health-care regulation more difficult, since Congress cannot start afresh but must take as its point of departure a jumble of now senseless provisions, provisions that certain interests favored under the Court’s new de­sign will struggle to retain. And it leaves the public and the States to expend vast sums of money on requirements that may or may not survive the necessary congressional revision. The Supreme Court upheld Obamacare. But regardless of what the Court said about the constitutionality of the law, Obamacare is bad medicine, it is bad policy, and when I’m President, the bad news of Obamacare will be over. It was always a liberal pipedream that a 2,700 page, multi-trillion-dollar Federal Government takeover of our health care system actually could address the very serious problems we face with health care. With Obamacare fully installed, government will reach fully half of the economy — that is the recipe for a struggling economy and declining prosperity. On Day One, I will work to repeal Obamacare to stop the government’s takeover of our health care and intrusion in our lives. I will push for real reform to our health care system that focuses on helping patients and protecting taxpayers. We cannot afford Barack Obama’s on-the-job learning, Big Government proposals, and irresponsible spending. Our basic liberties are at stake — and I will fight to restore our freedoms, renew the respect for our Constitution, and halt the government takeover of health care. WASHINGTON – “The Supreme Court made clear today that the American people will be the ultimate judge of ObamaCare. As Republicans, we will redouble our efforts to repeal this job-killing law. “We must replace it with reforms that expand access and enhance care without adding trillions of dollars to the national debt and inserting Washington bureaucrats between Americans and their doctors. “This is a sad day for liberty. 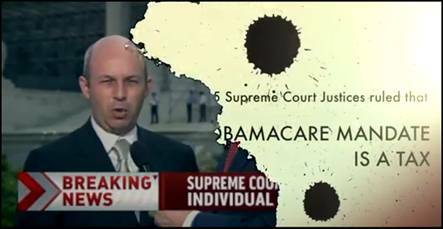 The Supreme Court has abdicated its responsibility to safeguard the Constitution, and it has rewritten Obamacare in an ill-advised attempt to save it. “Today's decision underscores what we have been saying all along: the solution to Obamacare will come from the people. All across America, citizens are rising up to take back our country, to defend liberty, and to roll back the out-of-control federal government. “Today's decision makes this Senate race in Texas all the more important. My opponent is, by nature and by over a decade of political office, a conciliator. Now is not a time for conciliation. The Senate will be the battleground on Obamacare, and I intend to lead the fight to repeal every word of it. “Today's decision will only strengthen the Tea Party movement – a great awakening that is sweeping the nation.